Dimensions: m. 4 x 4 x h 2,3. The Waldhof, ancient suburban centre of Bielefeld, was a noble court not subject to feudal restrictions, inside of which those who had committed all manner of crimes could find sanctuary, protect themselves, and regain their liberty. The special statute of Waldhof was symbolized by a passage, long ago walled up and only visible now as a niche in the encircling walls of the town. The emptiness of the passage is filled by the incursion of Maria Dompè. She inserts into the new stone the history of the old one: the surface of the cut stone is polished on the side facing the passage, in contrast with the other sides of the block of Dolomite stone, which being barely worked on, are very rough. The sculpture retains the original gold colour of the sandstone in chromatic correspondence with the cornice of the passage, which in this way reopens and returns anew as a cultural production. 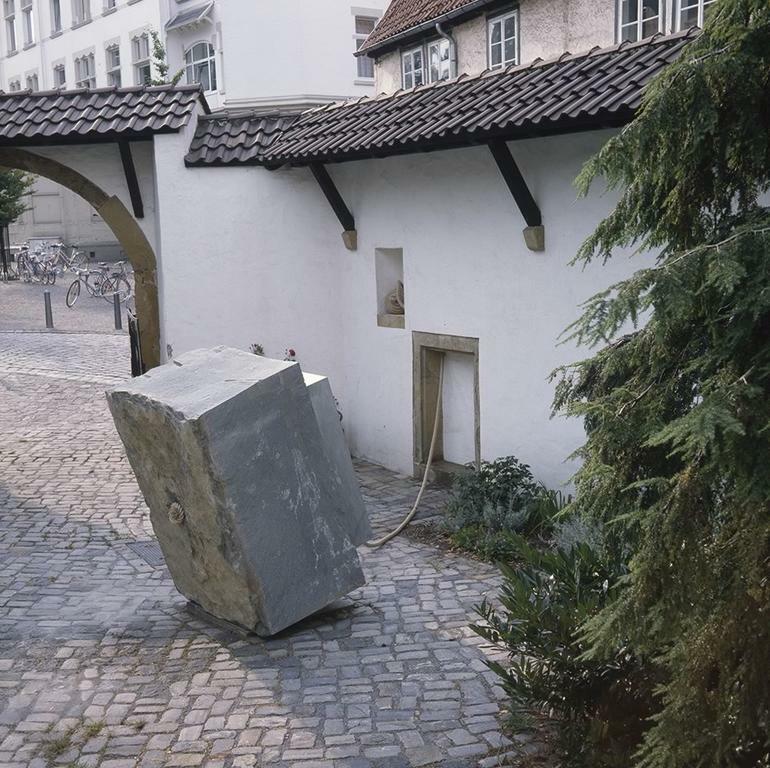 The sculpture, therefore, unites the historical importance of the place and the meaning of the conceptual operation. 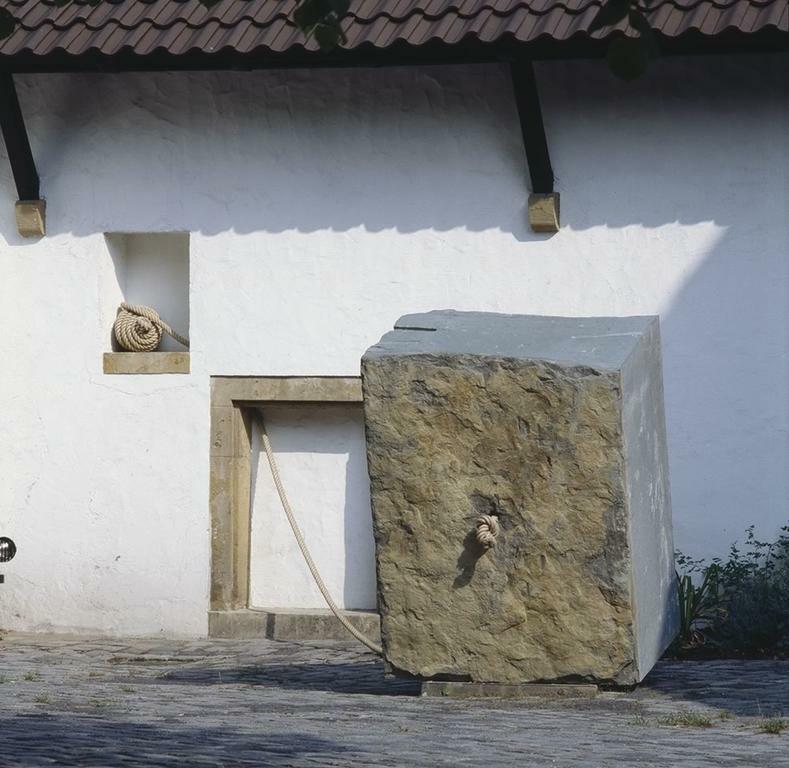 The rope, that ends in a knot on the back side of the stone block, guides the eye to the passage from which the stone liberates itself and opens the way towards liberty, the same liberty which became symbolized by the destruction of the Berlin wall.